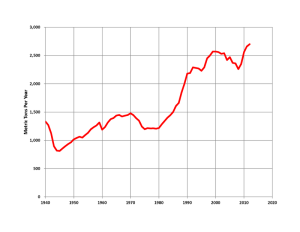 Home Gold Standard Why China and Russia are increasing gold reserves? Why China and Russia are increasing gold reserves? Ask yourself the question, what would you do if you had a lot of surplus money, say a million dollars/ pounds? Would you opt to save it in a bank? Would you buy a property? If you are to store the money in a bank and count on the interest to fractionally increase it every year, think again. In receding economies, the inflation rate is higher than the interest. Therefore any savings tend to lose value. Historically speaking, an economic cycle runs for 25 years i.e. approximately 15 years of growth is followed by 10 years of recession and stagnation. Therefore leaving the money in the bank for even long periods does not render one any better off. Plus there is a risk of hyperinflation, which would possibly leave any savings worthless. In a digital age, where your money in the bank is merely a byte stored on a piece of computer hardware, one does have to weigh up the possibility of a data security breach. This leads us to option two i.e. buying a property. No doubt in a growing market, property is one of the safest and most lucrative investments. Nonetheless it is one that is not liquid. One cannot sell property instantly and depending upon the market conditions, people may also fall into negative equity. The best choice therefore would be investment in Gold. It is no doubt that gold prices tend to fluctuate. But even taking the fluctuations into account, gold is the most likely to appreciate or hold its value over a period of time. The concept of Gold as a currency, despite the lure and global acceptance of dollar, has not died. This brings us to the question, where do the countries with surplus budget invest their money? China for a decade has an economy that has grown in double digits. Russia, barring its current turmoil has also seen a consistent growth in the economy over the last decade. So where is the surplus cash going? The answer is gold. Over the last decade both China and Russia have been secretly increasing their gold reserves. China has not disclosed its gold figures since 2011. Previous information suggests that China has gold reserves of 1054* while Russia holds about 1200 metric tonnes. 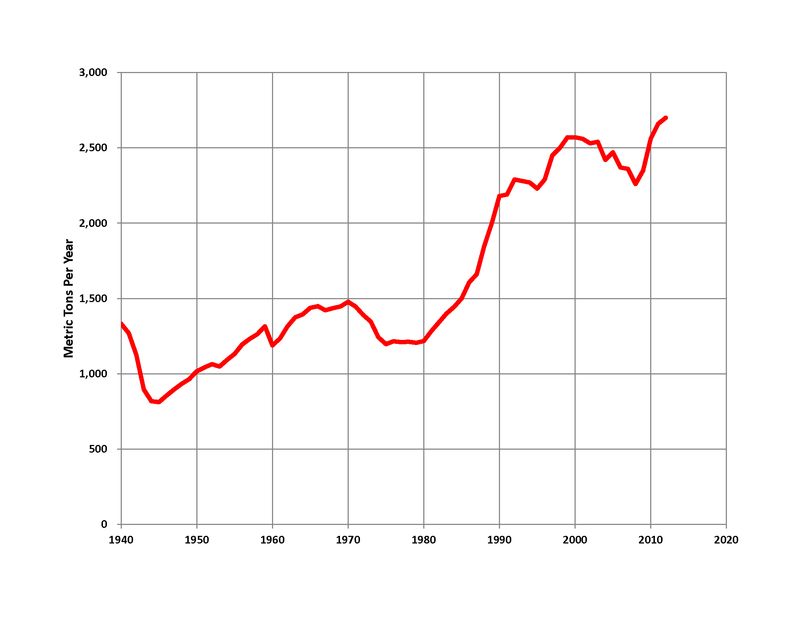 Although they are nowhere near the US holdings of 8133 metric tonnes but it the numbers for both countries are rising sharply. The figures for China are just an estimate (People Bank of China has not disclosed any changes to its gold holdings for years). Some gold analysts have indicated that China has at least 2,000-3,000 tonnes of gold reserves, almost double the number it officially claims. Russia and China have come into the spot light because they have doubled the amount of gold in recent year. One could point out that Germany, Italy and France (3384, 2451 and 2435 respectively) collectively have more gold than both China and Russia. They also collectively hold more gold than USA. However, in terms of the changing dynamics of the future currency security, their gold holdings are not as significant. To explain this, it should be understood that gold is also used as a foreign exchange (Forex) reserve. 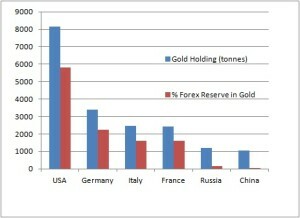 For the mentioned EU countries gold already represents over 65% of their Forex reserves. While looking at Russia, gold only represents 12% of their current foreign exchange reserves. That means a huge portion of the remaining 88% Forex reserves can still be traded for gold. China has even more frightening numbers. Their known gold only represents 1% of their foreign exchange reserve. And as China tries to balance its books for money security, it is bound to increase that figure. If China decides, to have a mere 25% of its foreign exchange reserves as gold, it would have more of it than all the G-8 countries combined. One of the reasons the US dollar holds its value is because oil can be only traded in dollars in the international market (as per OPEC regulations). Countries and individuals who have tried to decouple this link have been made an example of. This includes Saddam Husain, who wanted to trade oil for euro and Muammar Gaddafi of Libya. Both have been taken out although this does not exonerate the dictators for the crimes they had committed. Iran and Venezuela have also expressed their desire publically to sell their oil in any currency other than USD. These are all countries that obviously are not acting in America’s best interest and therefore have been demonized and sanctioned at different points in time. The criterion of democracy is often used to highlight their rogue nature and create a negative perception. The petrodollar is at one of its weakest point in history. At present, Russia is the largest producer of oil and is a net exporter. Although the US also tops as the highest oil producing country but it is a net importer. It currently imports more oil is more than it produces (10 million barrels a day import). At this point it is worthwhile pointing out that there are two theories regarding the remaining oil reserves, namely the early and the late toppers. As per early toppers, there are one trillion barrels of oil remaining, while the late toppers suggest two trillion barrels remaining. The common conclusion here by both parties is that the end of oil age is on the horizon. As oil gets more and more scarce, it is likely that countries would prefer to trade oil in gold rather than in dollars, thus heralding the end of petrodollar and the start of petrogold. If Petrogold becomes the standard of tomorrow than America’s economic position is extremely precarious. It will be double jeopardy for the US. Although at present it does hold the highest amount of gold, but because it is a net importer of oil, it is bound to lose its gold holdings very quickly. Moreover, because the dollar will become uncoupled from the oil, it will not be able to retain its value and could set the currency into hyper inflation. Some analysts have pointed out that if such a scenario would unfold, US has contingency plans to finish dollar altogether and introduce a new currency called “Amero”. This new currency just like the euro would be freely used not only in the USA but in the larger block that will include Canada and Mexico. As for now the discovery of shale gas has offset to some degree the rapid depletion of oil. Nonetheless there is still a huge pressure to buy the gold that is extracted every year (3000 tonnes) by central banks of many nations. Are we re-entering the age of gold –standard? If so, preparation must begin. Marcus Grubb (13 November 2014). “Gold Demand Trends”. Everyone should be investing in gold and silver. People forget that silver is also a precious commodity. Dump your currency for gold. Keep an amount of currency that you need to pay the bills and keep the lights on and invest your savings in gold and silver rather than the stockmarket. The stockmarket is highly volatile – and always has been. Now, firms are using computer algorithms to calculate investments. Stay out of that market. You can never go wrong with gold. It’s an international currency. Want to move? The gold walks with you. Saw what happened in Greece? The banks started unfairly regulating how much people could take out (€80 a day).